I was crusing down Main Avenue through Dickson City and Peckville when the sudden urge struck. I needed to refuel - on pizza! 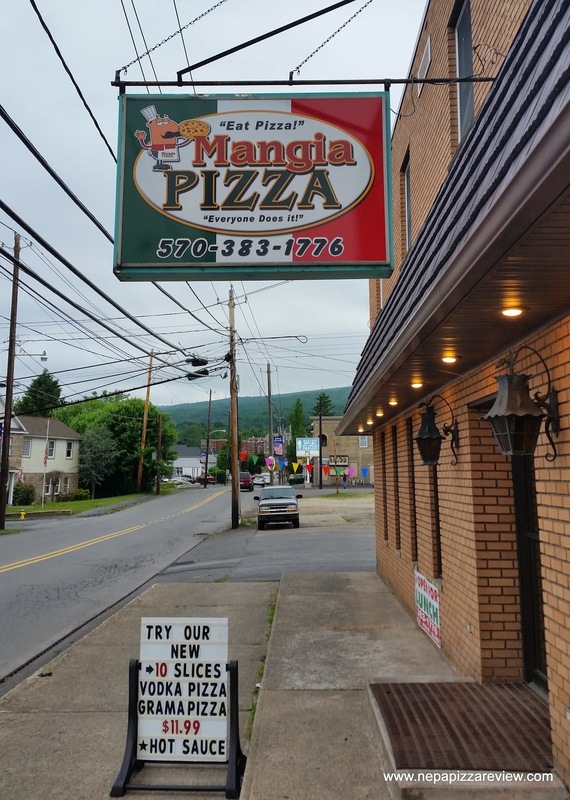 I saw a familiar building with a new sign affixed to it saying "Mangia Pizza." I have had plenty of experience with this building with Joey's Gormet Pizza and Domenick's Pizza were formerly in this establishment and both had very respectable pizza. I immediately wondered if there were any changes to the place that I knew so well over the years. Click the link for some history on the place and see what I have had to say in the past. When I walked in, I noticed that the restaurant itself is pretty much the same as it was when it was Domenick's, with a casual dining area in the front and parking in the rear. A little tip, there's a "secret" door in the back that takes you down a hallway that leads you into the restaurant so that you don't have to walk all the way around the front. When you walk in, you can order at the counter or receive table service. Mangia also offers pick-up and delivery services. I was in a bit of a hurry, so I just ordered two quick slices and a bottle of water which came to less than $5.00 which was a pretty good deal considering the size of the slices. 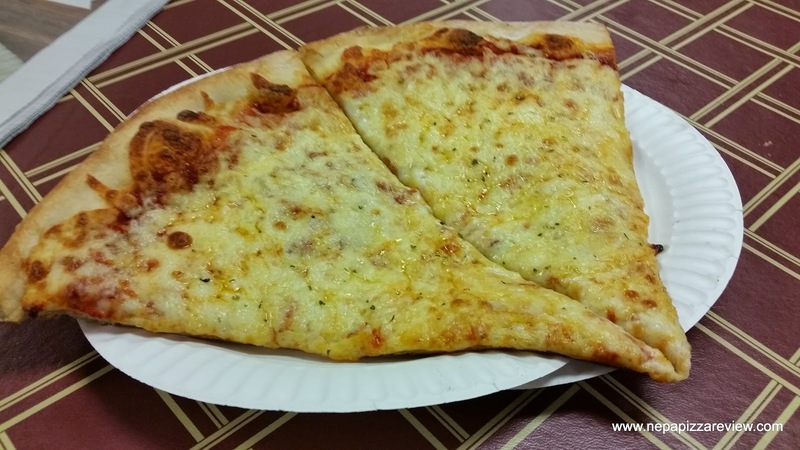 When the pizza came out, I noticed the slice pie wasn't extremely fresh, but fresh enough and that is to be expected at the off-peak time that I was dining at. The gentleman who took my order reheated the slices thoroughly, which always earns brownie points with me. 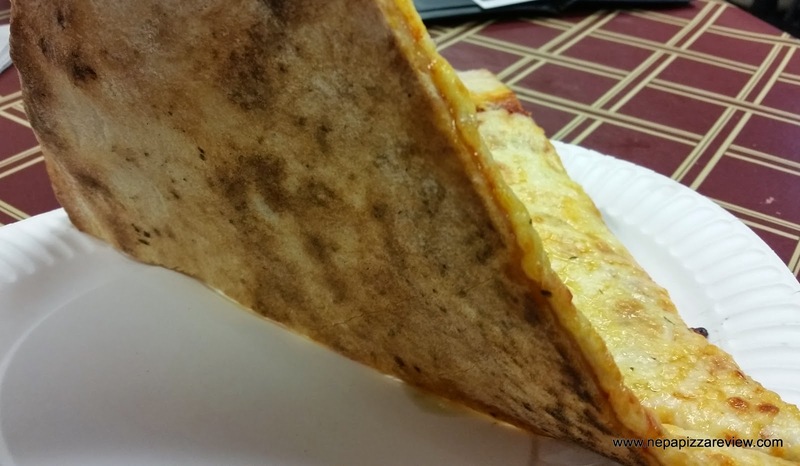 I chowed down on the slice to find that the pizza might have had a bit of an upgrade since the last time I had it. Namely, the crust was very tender, light and crispy as opposed to chewy and a little tough under a different name. The sauce was pretty neutral so it is bound to be pleasing to most taste preferences and the cheese was piled on top and quite satisfying. Overall, I have to say I enjoyed the slice because of its simplisity and classic above average constitution. There isn't really anything that stands out about this pizza as extraordinary or different, but I think most people like that! 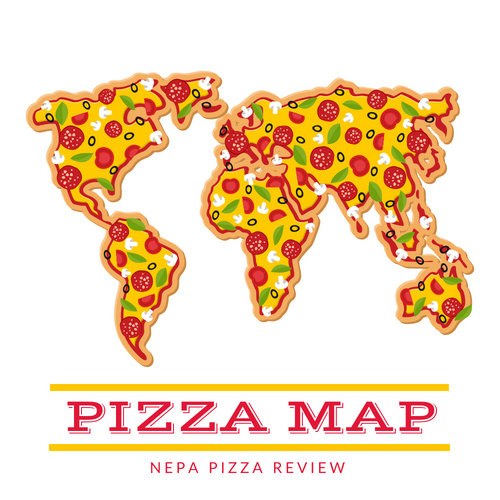 I am comfortable recommending Mangia to the NEPA Nation, so give it a try and let me know what you think!